When choosing a kitchen appliance, we sometimes need one that has many purposes. If we choose carefully, we can save both space in our kitchen and money too! 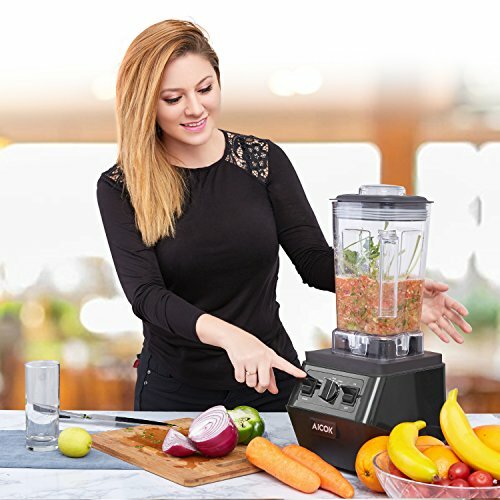 If you like to make smoothies and shakes in addition to pureeing food at home, then a blender might be a good choice for you. I am going to present the best blenders for pureeing food. In a hurry? Here are my top recommended blenders. Or, keep on scrolling to read more reviews and more details on each model. There are several important features to consider when shopping for a blender. The container size is important, whether you prepare food for one meal or several. Also, the container size sometimes determines the smoothness of your puree. You won’t get a good result if you put a small amount of ingredients in a large container. Next, the motor power is crucial in getting the smooth and silky puree without lumps. Blenders are best when working with liquids and solids that are already soft. They can produce a great puree, but you often need to add liquid to the mix. They aren’t as efficient for chopping up carrots for example, or for operating with smaller amounts of food because of the position of the blades and the shape of the containers. The blenders on my list are all very powerful and have small to medium sized containers you can choose from. The price is also sometimes important, so you can choose from products in a different price range, but whatever you choose you won’t be disappointed. Here are my recommendations for the best blenders for pureeing food. I am going to start off with a basic product which is effective and easy to use with its one-touch buttons. It comes with a 700w motor which should be enough for regular use. It has pulse and puree functions and gives satisfactory results. This Hamilton Beach blender is easy to clean and even has a self-clean function. The downside is perhaps the noise it makes. While it’s not powerful enough for more demanding users, it is a relatively cheap product that won’t let you down. Next, we have my personal favorite. 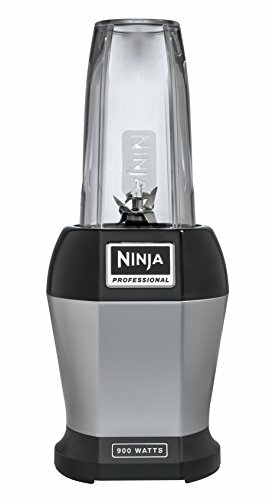 It is a great product by Ninja, and with 1000w power it can make great puree, as well as many other things. In addition, it is very sleek looking. It comes with a large 72oz high-quality plastic jar which is big enough for several servings. The jar is BPA free and you can wash it in the dishwasher. The blades are specially designed Total Crushing Blades that can crush fruits, vegetables and ice with ease. You can use it in 3 different speeds and a pulse function. It is relatively loud however. This one is an excellent buy. If you want a powerful blender for your kitchen for less than $100, this is the best one. If the Ninja Professional is too big for you, this one is a great choice. It is an Amazon bestseller among personal size blenders. I really like that it has a compact footprint and a very powerful 900w motor. It comes with two cups (18oz and 24oz in size) and lids for both. 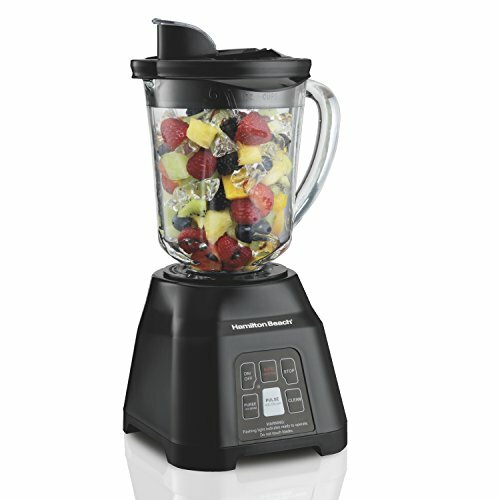 This blender is great for making one serving puree from softened vegetables or other ingredients. The Nutri Ninja breaks everything down easily, and as I mentioned, the jars come with lids so you can store your food without transferring it to another container. The downside is that the jars are not heat resistant, so you want to wait for food to cool down before mixing it in this blender. This unit is very handy and will certainly meet your everyday needs if you prepare smaller batches of fresh food. It doesn’t take up much space too, so that’s an additional plus. 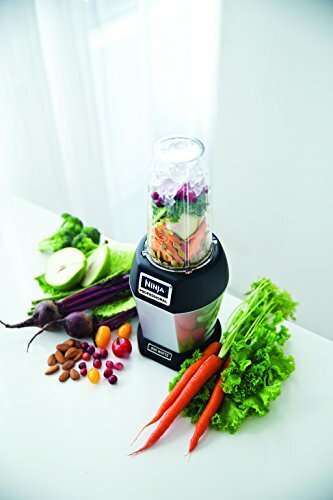 A more powerful alternative to the Nutri Ninja, with an exceptional 1700w motor. On the other hand, there is a significant difference in price, so you have to keep that in mind. 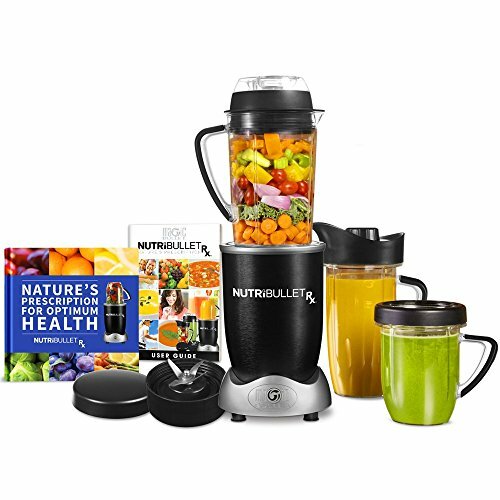 This blender comes with 3 containers, a 34oz pitcher, a 32oz small cup and a 45oz oversized cup. Each container comes with a lid for storing. This powerful unit is able to process a nice smooth puree, but in order to do that, a little liquid needs to be added. Another plus for this one is that it can work with hot food, and even has a heating function. It is very easy to use and gives satisfactory results. But, because of the motor, it is very loud and tends to move a little bit across the counter. It is also not that easy to clean, which is best done by hand. The NutriBullet Rx is very powerful and user-friendly. It comes with several handy containers which can be put in the fridge. Compare this to the previous one so you know which one better suits your needs. This is the most expensive blender on this list, but also the most powerful one. It is a professional blender for a very affordable price, and it will do anything you ask of it. It has a 1500w motor which produces 30000rpm. Because of that it is great for making smooth purees even with smaller amounts of food. It comes with a 70oz pitcher and 24oz bottle, both with lids. Both containers are BPA free and can be washed in the dishwasher. An extra cleaning brush is included. 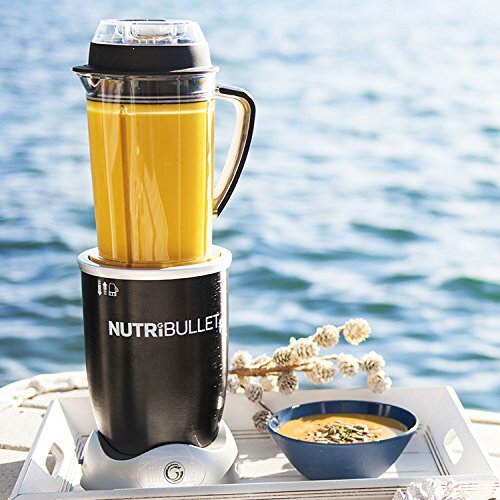 This powerful blender grinds down anything you throw its way, and gives you amazing results. It also functions as a food processor. The one downside I found is that the blade cap on the container is a little tighter than expected. The Cosori C700-Pro is probably your best choice if you want a versatile blender to fit your every need, but don’t want to give more than double for a similar quality blender. When shopping for a blender or any other kitchen appliance you have to be certain what you expect from it. 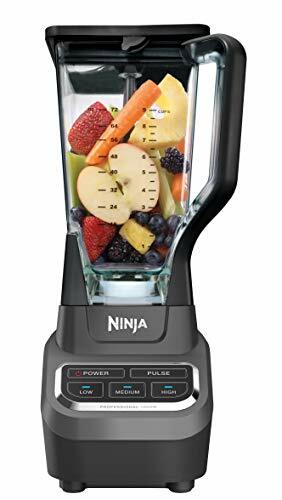 As I mentioned earlier, I really like the Ninja Professional Blender . 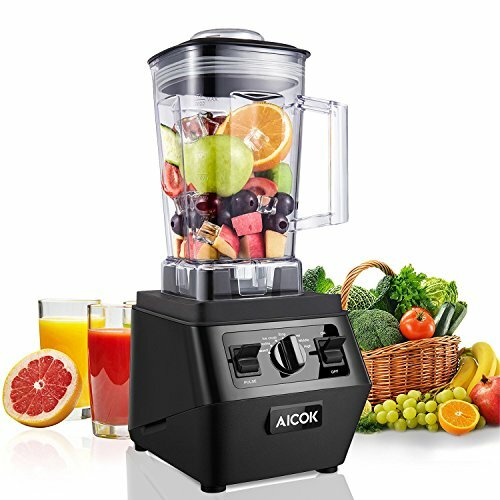 It has enough power to make great puree, smoothies, shakes, soups, and sauces. I also like the Cosori C-700 , but it is a little more expensive. If these two are too big for you, check out others listed here. What blender do you use to make purees? Feel free to share your opinions and recommendations in the comments below.